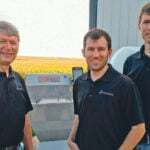 New Leader Manufacturing is building a dry fertilizer spreader box for DOT, making it the second farm equipment manufacturer to join the DOT-ready implements team in less than a year. 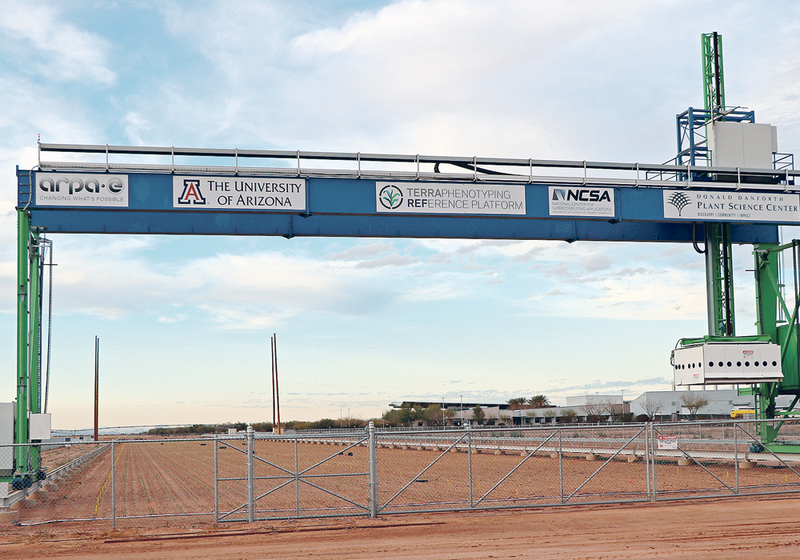 Last summer a newly formed company called Connect, which is closely affiliated with Pattison Liquid Systems, began producing a 120-foot sprayer and liquid fertilizer coulter attachment for DOT. Andrea Riem of New Leader Manufacturing said she thinks the companies will have a strong collaboration because they have similar goals. 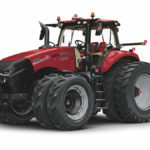 “(DOT is) trying to make versatile equipment and embracing technology. We felt like it’s a really good match,” Riem said. The DOT spreader box will be in New Leader’s G5 lineup, which has a 16-section swath width control. “How we achieve that is the fan frame itself shifts both left and right, and fore and aft,” Riem said. 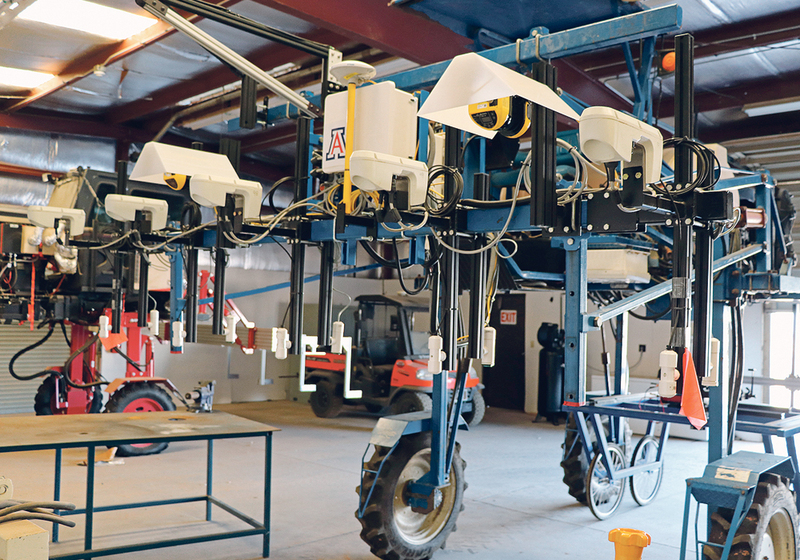 The 16 section swath width control prevents overlap of the product being spread, including last pass control. 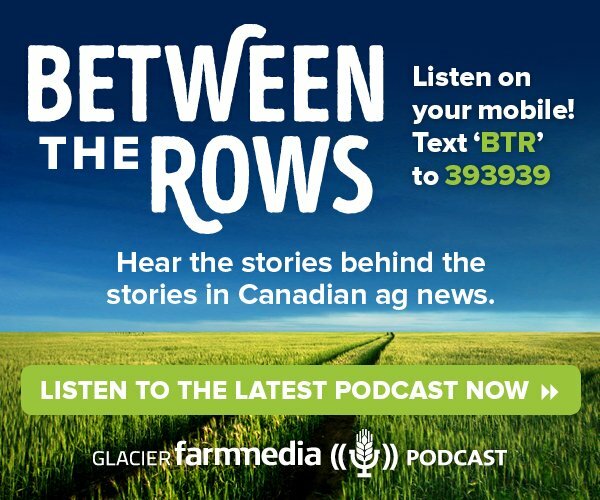 “When you have less than a full swath width, let’s say 16 feet, you can spread in just that area,” she said. With the MultApplier optional inserts, up to two products can be spread at the same time. 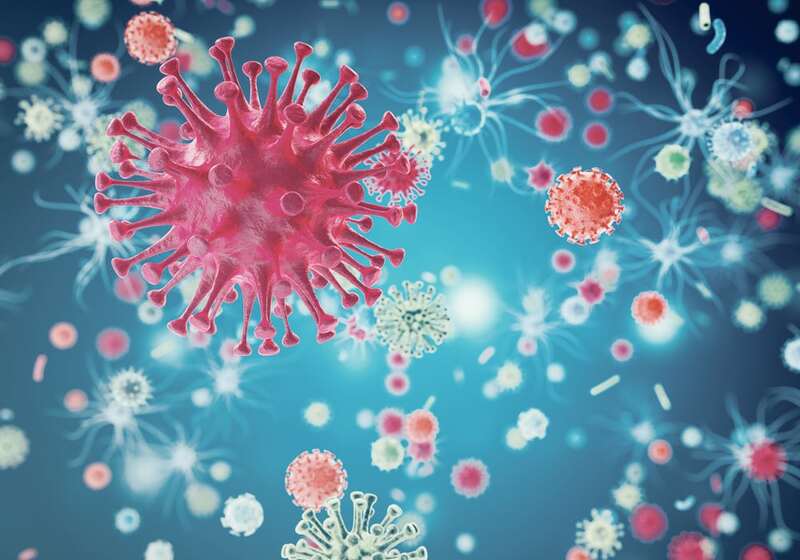 With the MultiBin option, up to four products can be simultaneously applied. These inserts enable multiple products to be spread either independently or simultaneously with the main product bin, and at straight or variable rates. 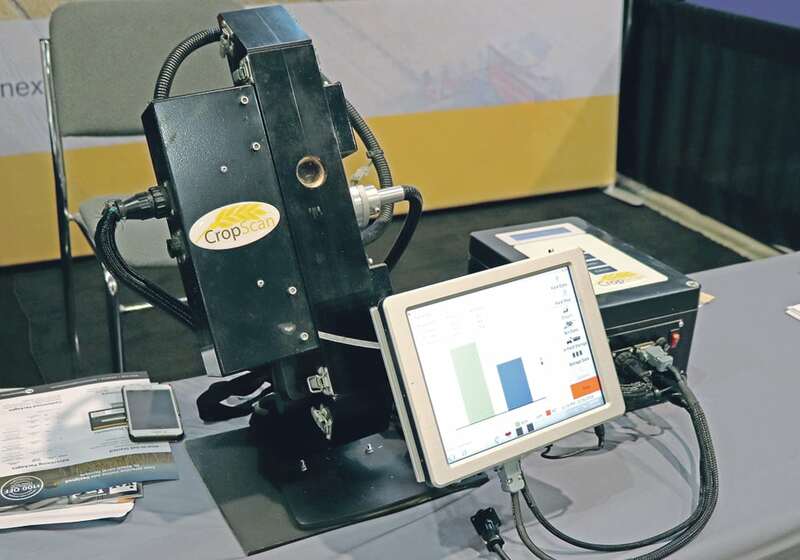 The NL5000 G5 implement on the DOT Power Platform can hold up to 350 cubic feet of product. The unit can achieve up to 120 foot spread widths, but the spread widths are product dependent. 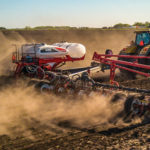 The acres per hour capability of the G5 spreader on the DOT will also be product dependent, but Riem said it will likely achieve an average rate of 100 to 125 acres per hour. Dry spreader boxes in the G5 lineup come with sensors that monitor performance, an automatic feed gate and the New Leader user interface. Riem said the first prototype is under construction, and she is unsure if the quality control and testing phase will be complete for this growing season. 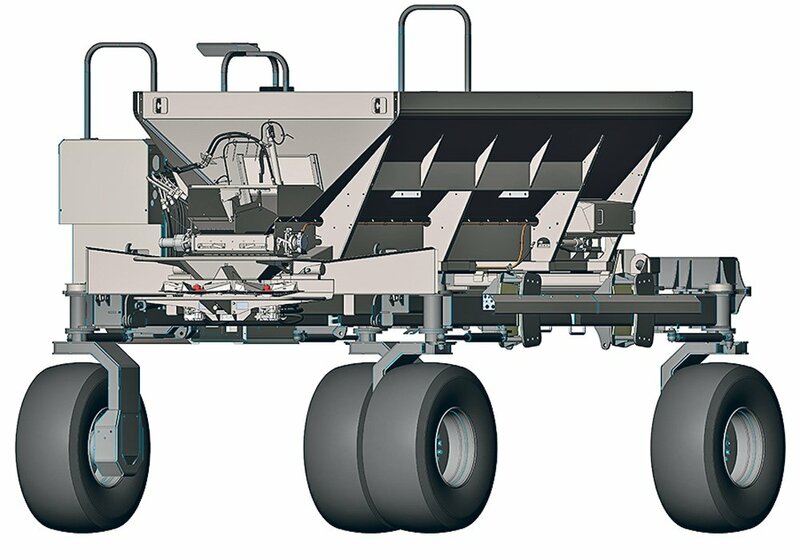 New Leader Manufacturing builds a line of spreaders that are mounted on chassis, such as John Deere, Case IH, AGCO and heavy trucks. 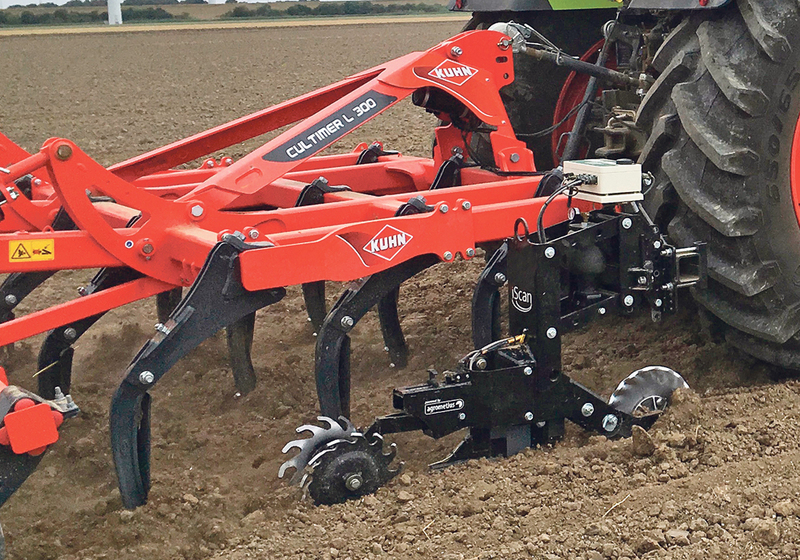 The company also produces a line of trailed spreaders for tractors. Leah Olson, chief executive officer of DOT, said a limited release of DOT is planned this year. 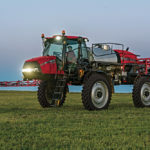 The company recently sold its first DOT package, including a DOT powered platform and two DOT ready implements: a Seedmaster 30-foot single rank drill and a Connect S-120 sprayer. 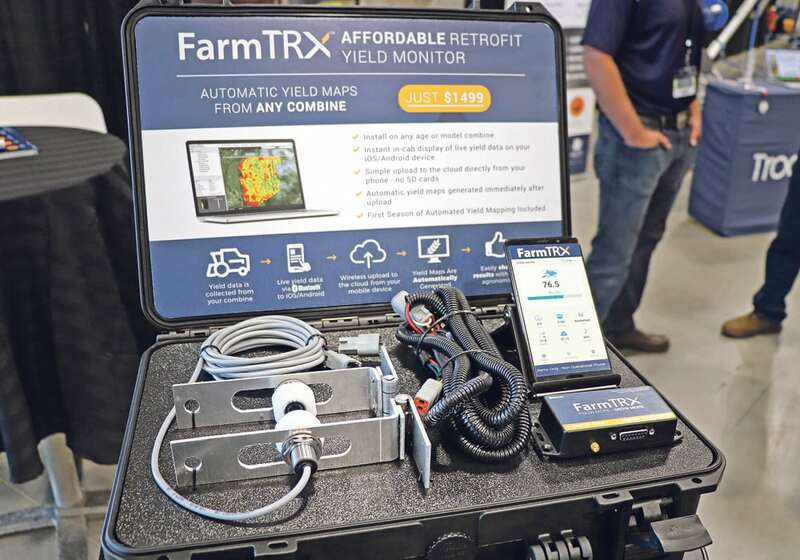 Rick Pattison, president of Pattison Liquid Systems and Connect, said his farm will use DOT to grow crops on at least 1,000 acres this summer, including a preseed burn-down, seeding and post- emergence spraying. For more information, visit www.newleader.com/product/nl5000-g5/.